The Sisters of Saint Joseph first came to WA in 1887, arriving in Northampton at the invitation of Bishop Gibney. These first Sisters were warmly welcomed by the people and opened a school there. But before long, some difficulty arose when Bishop Gibney became unhappy with the fact that he was unable to act as their superior, as the Josephites were governed from Sydney. In 1890 the Sisters were faced with the difficult decision of remaining with their own Congregation under Foundress Mary MacKillop, or becoming part of a diocesan sisterhood founded by Bishop Gibney. (Bishop Gibney was opposed to the decision from Rome that approved the Josephites’ plan for central government and thus permitted Mary MacKillop to send the Sisters to where there was the greatest need). Only Sr Ursula Tynan and two postulants remained and so began a new Diocesan Congregation who changed their habits from brown to black but followed the practises and customs of Mary MacKillop. In 1897 the little group was transferred to Boulder where they were joined by a number of Irish girls. The ‘black’ Josephite Community at Boulder was later reunited with the ‘brown’ Josephites (1912). ‘Brown Joeys’ Go West – Again! In 1906, the ‘brown’ Sisters of Saint Joseph returned to the West and reopened the school in Southern Cross (which had been previously run by the Presentation Sisters). That was the beginning of a time of great expansion for the Sisters, spreading out into other parts of WA including New Norcia, Moora, South Perth and then on to the South West, Wheatbelt, Kimberley and Pilbara areas. In January 1915 the Sisters came to South Perth where a property was purchased from architect RJ Dennehy for the sum of £3000. The Sisters ran the neighbouring St Columba’s School, which had been opened by the Sisters of Mercy in 1908. 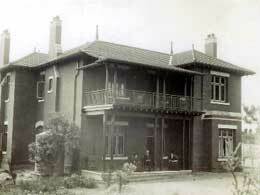 South Perth was destined to become the Provincial House when Western Australia was made a separate Province in 1918. Sr Julia Donnelly, who had opened both Southern Cross and New Norcia, became the first Provincial of WA. In addition to teaching in the schools, the Sisters taught music, visited parents and other parishioners and cared for the Church. Josephite Bushie Schools began in 1927 and served the people in isolated and rural areas. The Bushie Schools were born out of a need for the children of Catholic families living in remote parts of the Wheatbelt and the South West, to receive a religious education that was previously unavailable to them. 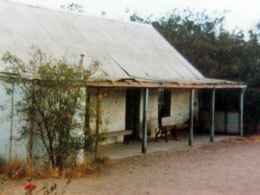 The Motor Mission ministry began in WA in 1959 at Tambellup. The Sisters first vehicle was a Volkswagen and the weekly mileage was over 500 miles! Because of the distances involved the Sisters were permitted for the first time to stay over night in farmhouses. The Bishop of Bunbury decided that Ongerup would be a more central location for the Motor Mission so in 1969 the Sisters first took up temporary residence in the shearers’ quarters! Because of the special needs in the remote mining towns in the Pilbara the Sisters began a Motor/Air Mission in 1972 in Karratha and Tom Price. In 1964 the Josephites responded to Bishop Jobst’s pleas for religious to go to the Kimberley to help educate the local Aboriginal communities. St Joseph’s Day, 19th March 1964, marked the arrival of the first two Josephites at Wyndham in the Kimberley. The parish priest moved into a nearby garage so that the Sisters could take up residence in the presbytery. School commenced two weeks later. Since then the Sisters have worked in eleven different places. In the years from 1995 – 2000 there were 15 – 17 Sisters in the Kimberley. Currently just 6 Sisters remain. It is a custom of our Congregation to have, as part of the Province House, a place for the sick and aged from our own community and from other congregations. An Infirmary was first mentioned in documents in 1934 but was probably in existence before then. It was located in two rooms in what is now part of the Irene McCormack Villa. A new infirmary was completed in 1961. After extensive alterations the Infirmary became a “C” Class Hospital in 1969. With changes in government regulations, a new aged care facility was developed through collaboration with five other religious congregations and Southern Cross Care. In December 2000, our aged and frail sisters who needed nursing home care moved to the newly built Margaret Hubery House in Shelley. The Centre was opened by the Sisters in 1988 to provide a place of peace, reconciliation and learning for all peoples. The Centre is now managed by the Diocese but the Sisters are still involved in various ways. Over the last few years one third of our Province made the decision to return to Ireland to join the newly formed Irish region. We will always have strong links with these special sisters with whom we have shared community life, prayer and ministry for so many years. We honour the sisters who have gone before us. We live fully in the present and we look to the future with hope.